A CDN or a content delivery network is one of the most effective ways to improve your web-performance and make your site really fast. However, even if you are using a CDN service to speed up your web resource, there are still some things that will slow it down. Today we are going to speak about these things and give you several clues how to make your CDN really productive. Having a bad Internet connection may become a real headache. Even the best CDN services won’t work, if you have bad networking issues with your server’s ISP or occasional Internet outages. 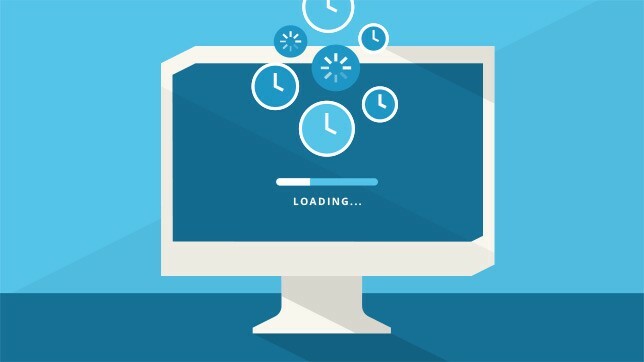 Once you have noticed that your website is still slow with a CDN, make sure that there aren’t any bandwidth bottlenecks caused by your server’s ISP or external factors (DDos attacks, hardware outages, ISP jams and etc.) that influence on your general web performance. A CDN is able to ease the traffic burden on your server, but it won’t work properly if your server hardware can’t support even the lightened web traffic. Be attentive with the CPU and RAM spikes, because they always signal that your hardware resources aren’t able to provide a good traffic, and you should upgrade or add them if you want to speed up your web performance. Sometimes memory leaks and CPU spikes are caused by certain misconfigurations or software bugs. If you think that your CDN isn’t effective enough, firstly, try to check your server configurations and make sure that you are using the latest software patches and OS. For instance, a CDN usually accelerates your content’s delivery time by 4 times. If your site features 40% of objects hosted on other servers, the downloading speed will be improved only by 1.5 times. Catching is an essential thing for your web performance optimization. However, not all website’s objects should be cached the same way. For instance, html files or scripts that need a frequent update often require lower cache-control ages. If you apply these settings to a static object, they would make a CDN drastically slow. Remember, that a low traffic page often requires a longer cache-control age. Once the object’s cache-control age has ended, direct the next request to the server instead of the CDN’S edge. Be careful with conflicting Pragma headers. Having both a cache-control header and a ‘no-cache’ header often implies that your cache-control header settings may be overridden in a month. The following error is often caused by legacy settings or by incorrect CMS adding the Pragma headers occasionally. Once you are willing to speed up your website or get an effective advisory service connected with CDN services, don’t linger to visit CDNsun knowledgebase to get more entire information there!